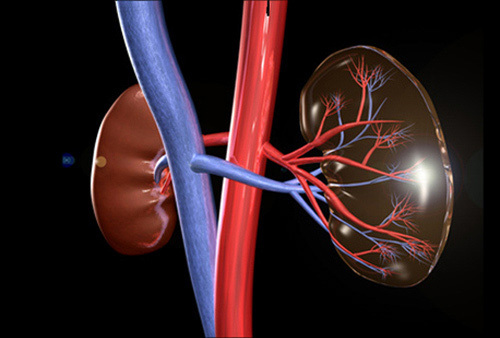 Exome sequencing designed to identify the gene responsible for chronic kidney disease has a direct impact on treatment for most patients, with specific genes accounting for about 1 in 10 cases of the disorder in adults, researchers at the Columbia University Vagelos College of Physicians and Surgeons have reported. “Our study shows that genetic testing can be used to personalize the diagnosis and management of kidney disease, and that nephrologists should consider incorporating it into the diagnostic workup for these patients,” noted Ali Gharavi, M.D., chief of nephrology and a co-senior author of the study (“Diagnostic Utility of Exome Sequencing for Kidney Disease”), which appears in the New England Journal of Medicine. The study noted that while exome sequencing is emerging as a first-line diagnostic method in some clinical disciplines, its usefulness had yet to be examined for most constitutional disorders in adults, including chronic kidney disease, which affects more than 1 in 10 persons globally. “We conducted exome sequencing and diagnostic analysis in two cohorts totaling 3315 patients with chronic kidney disease,” the researchers reported. “We assessed the diagnostic yield and, among the patients for whom detailed clinical data were available, the clinical implications of diagnostic and other medically relevant findings. “In all, 3037 patients (91.6%) were over 21 years of age, and 1179 (35.6%) were of self-identified non-European ancestry. We detected diagnostic variants in 307 of the 3315 patients (9.3%), encompassing 66 different monogenic disorders. Of the disorders detected, 39 (59%) were found in only a single patient. Diagnostic variants were detected across all clinically defined categories, including congenital or cystic renal disease (127 of 531 patients [23.9%]) and nephropathy of unknown origin (48 of 281 patients [17.1%]). Of the 2187 patients assessed, 34 (1.6%) had genetic findings for medically actionable disorders that, although unrelated to their nephropathy, would also lead to subspecialty referral and inform renal management. While 1 in 10 adults in the U.S. have chronic kidney disease, the underlying cause of kidney failure is unknown in 15% of these patients. “Our study identifies chronic kidney disease as the most common adult disease, outside of cancer, for which genomic testing has been demonstrated as clinically essential,” added David Goldstein, Ph.D., director of Columbia University’s Institute for Genomic Medicine and a co-senior author of the study. In this study, researchers used DNA sequencing to look for genetic kidney disorders in 3,315 individuals with various types of chronic or end-stage kidney disease. For 8.5% of these individuals, clinicians had not been able to identify the cause of disease. The researchers found a genetic disorder responsible for about 9% of the participants’ kidney problems, and DNA testing reclassified the cause of kidney disease in 1 out of 5 individuals with a genetic diagnosis. In addition, DNA testing was able to pinpoint a cause for 17% of participants for whom a diagnosis was not possible based on the usual clinical workup. DNA results had a direct impact on clinical care for about 85% of the 168 individuals who received a genetic diagnosis and had medical records available for review. “For several patients, the information we received from DNA testing changed our clinical strategy, as each one of these genetic diagnoses comes with its own set of potential complications that must be carefully considered when selecting treatments,” according to Dr. Gharavi. About half of the patients were diagnosed with a kidney disorder that also affects other organs and requires care from other specialists. A few (1.5%) individuals learned they had medical conditions unrelated to their kidney disease, In all of these cases, the incidental findings had an impact on kidney care. “For example, having a predisposition to cancer would modify the approach to immunosuppression for patients with a kidney transplant,” added Dr. Gharavi. “These results suggest that genomic sequencing can optimize the development of new medicines for kidney disease through the selection of patient subgroups most likely to benefit from new therapies,” according to Adam Platt, Ph.D., head of global genomics portfolio at AstraZeneca and a co-senior author of the study. While the current study shows the utility of DNA testing in people with kidney disease, another study led by Drs. Goldstein and Gharavi found that DNA testing in healthy individuals vastly overestimated the prevalence of kidney disease-associated genetic conditions. “Altogether, our research suggests that DNA testing may be most useful when balanced with clinical information,” Dr. Goldstein added.